Here is where Melamed Academy posts interesting and relevant educational developments that impact our course offerings. Sign up to the newsletter, join our community, and stay informed! What happens if there isn’t enough enrollment to launch an emerging Torah day school? What are the parents’ options when moving to a kiruv position that doesn’t have in-town chinuch for the older children? How can a community get a girls’ high school off the ground without major overhead costs? 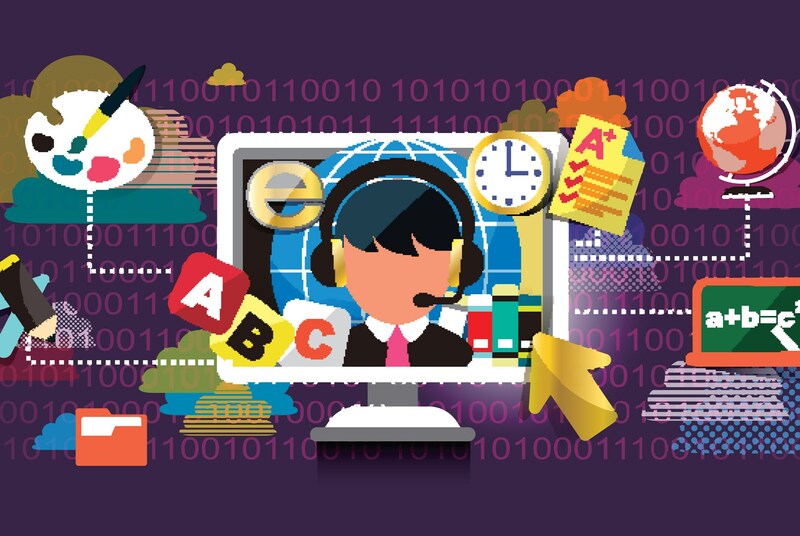 Computer-based courses can be very useful as turn-key solutions replacing the need for specialized teachers providing frontal instruction in every subject. The computer-based lessons walk the student through the learning process, with interaction and practice, making learning fun. It’s like an instant school, ready to go! 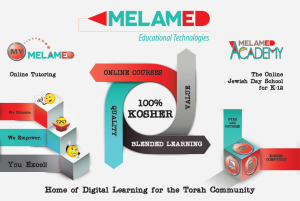 Melamed Academy is an online Yeshiva day school offering flexible enrollment options, either as a full-time student or on a single course basis for kindergarten through twelfth grade. This innovative nonprofit school was designed to expand the current options of day schools and families while shrinking their expenses. As a state-registered school in New Jersey, Melamed Academy provides students in any state with credits transferrable to a continuing high school. 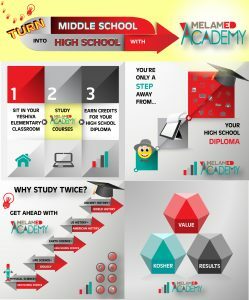 Alternatively, students can complete their high school diploma at Melamed Academy over 3-4 years. According to the US Department of Education, homeschooling is on the rise. In the 2011-12 school year 3.4% or 1,770,000 children were educated at home – an increase of 300,000 from 2007. Why did they opt out of the classroom? 91% cited concerns in the school environment, 77% wanted to provide moral instruction to their children, 74% wanted a different type of academic instruction. It makes sense that children’s individual needs can often be better accommodated at home than in an institutional setting. Many kids have health issues precluding regular attendance or concentration; others can’t focus well when they’re with a group. Sometimes homeschooling is spurred by the parents’ individualistic tendencies; regardless of the school’s quality, they prefer to guide their child’s education without being dictated by standardized criteria. Other times, it’s the advantages to the family lifestyle that are the draw. Globe-trotting parents can now take their children with them, without being tied to school vacation schedules. As yeshiva day school tuitions continue skyrocketing, homeschooling in the Torah community is growing as an attractive option due to its affordability. Do the math: Instead of working full time to pay tuition bills and meeting up with their children at the end of the day when both are at their lowest energy level, mothers can decide to quit chasing their tails, and simply focus on bonding with their children by providing their education themselves! Other times, homeschooling is an unanticipated reality, compelled by external factors such as a child’s health, rocky development, behavior and emotional challenges, a problematic social setting, or a lack of a Torah observant facility providing special services. Price: Educating each Orthodox Jewish child in the US today, costs an average of $150,000, including tuition for preschool through the post-graduation Israel year. High-end Modern Orthodox day schools run double, for a $300,000 price ticket. Each year that the child studies at home represents a significant cost savings for his family. Learning that Matches the Child’s Natural Rhythm: Classroom teachers are dealing with constraints of managing a group, plus they must complete the textbook by the end of the year. All those external pressures translate to stress, and cut-short conversations that don’t allow a child to explore and develop an intellectual curiosity about a subject. He may have liked studying fish, but now the class is moving on to amphibians – there is no time available for lingering. Homeschooling provides the optimal setting for fostering the child’s initiative and stimulating his inquiring mind. Close Family Ties: Parents who prefer to remain the primary role models in their child’s life are thrilled with the results of homeschooling. Children who are firmly rooted at home grow up with a strong family identity in terms of lifestyle, values, and Torah standards. Also, children who are home for more hours a day are more agreeable to pitching in with household chores; they feel part of the household, not just visitors. Teens, especially, will enjoy seeing their positive contribution to the family with home repairs, cooking, and preparations for family celebrations and events. Efficiency: Even preschoolers can have commutes or bus rides of an hour in each direction, to school and back home. Also, travel time cuts into play time needed for child-appropriate development. Did you know that the average six-year-old in Lakewood, NJ, spends 1000+ hours every year in the car? Homeschooling makes for an efficient day. The actual curriculum can be covered in fewer hours, plus there are no hours wasted while buckled in a seat-belt. Extra hours in the day can also help recoup lost sleep time, resulting in happier, calmer, well-rested kinderlach. Educational Freedom: In school, a student must absorb new facts in the designated time frame, or risk falling behind and being forever doomed to playing catch-up. Alternatively, a quick learner can spend lots of wasted time bored hearing the same facts repeated, reviewed, and then practiced again. A homeschooled child doesn’t feel labeled by his unique developmental progression. He also has time for extracurricular activities and talent development – plus the family still has the funds available to pay for these activities. Melamed Academy educates students in both day-school and home-based settings, including many students who are studying from home temporarily due to a variety of personal reasons. Homeschooling parents deserve admiration for the increased responsibility they carry, as the child’s parent and educator, combined. 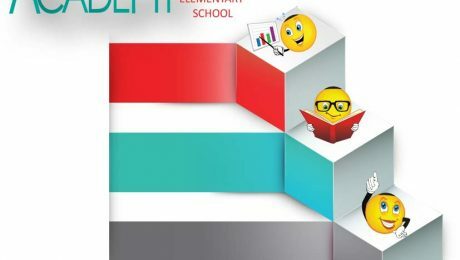 Melamed collaborates with parents to design the optimum setting for the child’s education and development, with emphasis placed on gaining self-confidence in one’s abilities and fostering self-directed achievement. Parental Authority: Does your child listen to you? Do you stick to your demands when the child whines, or do you end up compromising and lowering your expectations? When you are the parent, a lack of authority may result in a child going out to play while leaving their toys behind on the floor. If you will now be the teacher, a lax discipline will result in a child who can’t read or spell. Think carefully before becoming the sole authority in your child’s school life, and especially for a teen. Time Management: Homeschooling generally becomes the mother’s responsibility, adding to her daily regimen of household tasks. Do you always complete your “To Do” list? If not, do you prioritize according to long-term goals or do you only manage according to the urgency of the task? There will be days of sick children, renovations, repairs, and erev Yom Tov. Is it important to you that your child spends the requisite daily time on each subject? Do you have a plan how to make that happen? Child’s Study Habits: Is this a child who loves to learn, or who runs away from books? 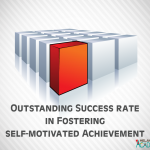 How do you plan to motivate the child, and foster his natural talents? Social Interaction: A peer group plays an important role in developing social skills, such as being part of a team, giving and sharing, teaching and learning from one’s peers. Some children may gravitate towards older or younger friends, but there are certain healthy developmental skills that are best learned when children relate to peers. Any home-schooling arrangement should incorporate a plan for creating opportunities for the home-schooled child to develop peer friendships. Community Connection: Torah Jews have a community-centered life. Men daven daily with a minyan, and families join up with other like-minded neighbors to form mini-communities and larger community networks. There is a strength gained from living Torah in a community, maintaining the religious standards demanded by a community, and being part of the rhythm of communal life. A child’s community is generally his school, and the teachers serve as role models. Think about where your child will connect to community role models as a homeschooler. Will it be in a Bnos/Pirchei group, being part of a shul, or having a private tutor? Long-Term Plan: Sometimes homeschooling lasts successfully for years; other times, it’s short-lived. Are you leaving your options open, in case it doesn’t work out? A wise home-schooling arrangement will ensure that the student covers all grade level curriculum, with documentation that can be presented to the next formal school at which he will wish to study. For these reasons, many homeschooling families choose Melamed Academy.Online learning is vibrant, appealing, and active – highly conducive to independent study and much friendlier than reading a textbook in each subject. Also, homeschooling parents have lots of wisdom and knowledge to import, but that doesn’t necessarily translate well to teaching math and science at every grade level. That’s where it’s good to have a computer-based program to present concepts visually, and drill facts in fun and exciting ways. Melamed Academy’s full-time enrollment track empowers parents of homeschoolers to manage their children’s education, by using Melamed’s curriculum in both Torah and general studies. Melamed Academy also provides the full learning experience, complete with songs, sheets, contests, prizes, and theme units – comparable to a yeshiva day school environment. Torah lessons are built from both computer-based and paper-supported curricular materials, designed to be studied with a parent, tutor, or chavrusah – maintaining the traditional chain of Torah education with 21st century materials. The secular studies are studied independently by the online student, primarily with computer-based lessons – including plenty of interaction with Melamed’s online teachers and classmates. Workbooks are included for grades K-6, while high school students type their assignments. Class discussion boards and bulletin boards provide forums for sharing the educational journey and collaborating on projects. Online school accommodates a student’s flexible daily schedule which fluctuates according to the rhythm of his home life. Students have a weekly syllabus in each subject, with the leeway to spread schoolwork into segments throughout the day. Melamed online teachers supervise students’ progress and are available for their questions. At Melamed Academy, students on all ends of the learning spectrum receive appropriate lessons for their level and learning style, at no additional charge. Diagnostic tests evaluate the student’s starting point, and IEPs are implemented with courseware that includes audio-support, visual learning, and interactive knowledge checks that don’t require writing. It’s gratifying to see how students quickly see success, scoring 100s on their tests and charting new accomplishments every day. All of a sudden, a Yeshiva boy who failed science is staying up late to learn his Melamed biology course. A Bais Yaakov girl who couldn’t do math is now motivated to spend hours a day studying. Melamed Academy also services the growing number of students slipping through the cracks in traditional yeshivos and Bais Yaakov schools. Some good kids experience a temporary non-conformist stage which results in having no appropriate school. Morning-challenged kids need the breathing room of online school, so their inability to arrive at the start of the day doesn’t doom their chances for success. Whatever the reason may be, all students have a place at Melamed Academy. Students now have the chance to explore their interests such as art, calculus, psychology, or animation programming. Teenagers’ Torah studies lead to college credits, driving motivation for mastery – over 84 college credits can be earned during high school for Torah studies alone. Combined with college credit exams for general education requirements, an average student can graduate high school with an accredited BA in Liberal Arts – a giant leap forward for the student, and a tremendous value for the parents. Many families have expressed interest in homeschooling with a “round-robin” neighborhood rotation, enabling parents to hold jobs even while educating their children at home, meanwhile providing their homeschooled children with friends and playmates. For the upcoming school year of 2015-16, Melamed Academy is facilitating the formation of homeschooling groups, so parents can collaborate, share tips about homeschool dynamics – and join up with other Melamed Academy families in their neighborhoods. For registration, and to receive demo lessons, contact the Melamed Academy office at solutions@melamedacademy.com or by calling (732)228-8800. Melamed Academy’s educational solutions are different because they are designed for the Torah community, and speak directly to their needs. Take Melamed Academy’s College Degree Program as an example. Melamed Academy offers an accelerated path towards an accredited BA degree from respected state colleges, utilizing up to 84 credits from Torah proficiency exams. The remainder of the credits can be fulfilled via online courses, college credit exams, and a capstone project. A custom line of dual credit courses for High School, enabling students to fulfill high school graduation requirements, while earning college credit. If your child isn’t accepted to yeshiva day school – or you can’t afford its tuition, can she still get a Torah education and high school diploma? Answer: Now, she can! Your daughter earns COLLEGE credits for her Bais Yaakov high school courses… so why can’t your son get ahead with HIGH SCHOOL credits in his Yeshiva elementary school? Answer: Now, he can! Can a Yeshiva principal hire superior secular-studies instruction for his students, conveniently, and at low cost? Answer: Now, everyone can! Can’t find a teacher for your Yeshiva or Bais Yaakov classroom? Have a student who doesn’t fit into your program? Melamed Academy courses fill the gaps– conveniently and affordably! The trend is gaining momentum. More Bais Yaakov and Yeshiva schools are choosing online courses for their students. 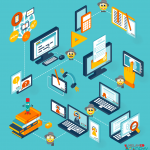 While educational technology is a great option, finding the appropriate products is a challenge. 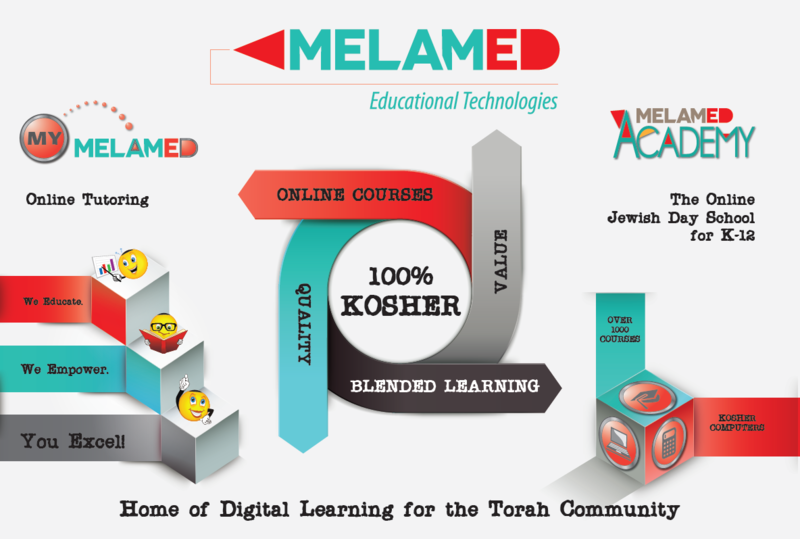 Melamed Academy is a registered school servicing yeshivas and individuals with online courses specifically tailored for the Torah community. With an extensive course catalog of all Kindergarten through Grade 12 courses, plus GED prep and Career training – Melamed Academy provides unprecedented quality, price-value, and customized solutions. Complete with a personal touch, Melamed’s computer-based courses are supplemented by Melamed online teachers remotely supervising student progress, grading written assignments, and coaching the students towards success. And, under the guidance of Gedolei Torah, Melamed’s curriculum meets the criteria of Yeshiva day schools. Completing the package, Melamed provides kosher computers to students, ensuring a chinuch-appropriate study environment. Boasting over 1000 course enrollments in Yeshiva day schools, plus dozens of home-based students, it’s clear that Melamed Academy is filling a community need. And with a completion rate of 98%, students have a higher chance of earning course credit with Melamed’s courses than at any other online school. 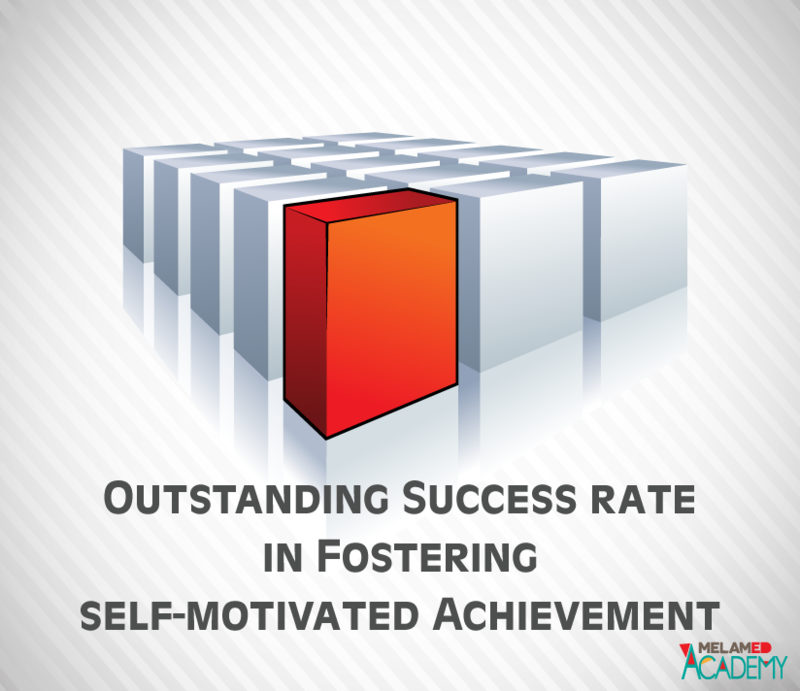 What’s the secret of Melamed Academy’s success? While online courses proliferate, they’re often lacking exactly the potential advantages of the digital medium. 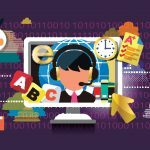 In the traditional classroom, one size doesn’t fit all; similarly, a single computer program won’t suit all learners either. 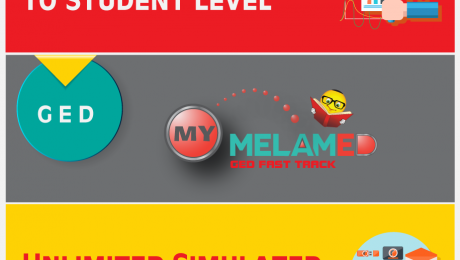 That’s why Melamed created its customized course line. Students with reading challenges can now master science, history, and math without ever cracking a book! They can study every subject with video, audio read-aloud, and multimedia – with virtual field trips included! All courses are modular, with a choice of learning styles, and a unique learning path is created for each student. Melamed’s online teachers play an important role in maintaining student motivation, and bringing out their full academic potential. And, even the secular subjects include assignments with a heimishe orientation! Melamed’s mission isn’t to replace the Yeshiva system; it empowers the principals with better options. Using Melamed Academy courses in place of a classroom teacher guarantees educational quality, reliability, and a more motivated group of students. Principals ordering Melamed courses can preview the lessons and continue providing the same chinuch oversight as before. Adding Melamed Academy’s computer-based programs in the resource room guarantees higher productivity and reduced costs, as one teacher can now supervise more students. Melamed Academy also enables parents with economical and effective alternatives that are much cheaper than tutoring. If a student isn’t cut out for a traditional classroom, or needs a customized level for certain subjects – sample a Melamed course! With our visual enhancements and audio support for text, even a school-challenged student can master subjects easily and enjoyably – with results evident in a short time! Melamed’s online courses also provide a stimulating solution for gifted and talented students, offering them advanced levels and enrichment, at value prices. Exclusively for students outside the Yeshiva school system, Melamed Academy also provides a Torah curriculum with weekly assignments. These courses include video lectures, multimedia, activities, and text-based learning directed by online teachers, including opportunities for group interaction. The Torah studies component is also perfect for homeschool students, or kids who are “in-between” schools. Melamed Academy’s Early High School Track is a new and popular initiative doubling the payback from time and tuition spent on Yeshiva middle-school secular studies hours. Did you know that an average intelligent Yeshiva boy can earn HALF his high school credits while still in middle school? 7th and 8th graders already study many subjects that are identical to those studied in high school, such as World Geography, US History, Life Science and Earth Science. If only the boys could receive high school credits for those middle school courses, they could save valuable time in future years. Also, incorporating a long-term goal into those daily regimented hours can breathe new life into the boys’ motivation, and foster self-discipline. The truth is that finding middle school teachers for secular subjects is already challenging for Yeshivos. Principals generally advertise for months before finding a suitable candidate. And maintaining discipline during those class hours is a challenge. Online courses solve many issues because the boys enjoy self-directed learning more than being passive listeners to a teacher’s lecture. When facing a computer screen, the boys are actively engaged, racing their peers to complete assignments, and comparing their discussion posts to their friends’ opinions. Certainly, a Yeshiva day school is the ideal chinuch environment, but what about the many students left without that opportunity? Melamed Academy has provided the perfect solution to many homeschooling families in both metropolitan and far-flung locations. These devoted parents are educating their children independently – sometimes by choice, but more often due to unique situations leaving them no other option. Melamed Academy’s secular studies program ensures that the compulsory education standards are met, and that the students are on their way towards a high school diploma. Also, since Melamed Academy’s credits are accepted by Bais Yaakov and Yeshiva schools, the students can easily transition back to traditional Yeshiva schools when the opportunity presents itself. After requests from Rabbanim, Melamed is also offering a Limudei Kodesh program for Grades K-12, with separate tracks and subjects for girls and boys – specifically for those who lack a school framework. The Torah curriculum is delivered with weekly computer-based assignments. The lessons include video lectures, multimedia, activities, and text-based learning directed by online teachers, including opportunities for group interaction. Registration is now in progress for the upcoming school year. It is also possible to join for Semester B of the current school year. Today’s job market is tough enough, even for those with top credentials. A High School diploma is the ticket to enter higher education and qualify for lucrative positions. What options exist for those lacking a diploma? It used to be pretty straightforward. All states run a High School Equivalency test center at which adults can take tests in five core subjects: Reading, Writing, Math, Science, and Social Studies. Upon passing all the tests, the state issues a High School diploma which is equivalent to a diploma earned through the traditional education route. Recently, it became more complicated. GED was the standard test until last year when New York and other states switched to other brands, such as TASC and HISET. The subjects and material were upgraded, and the bar was raised. Also, the questions demand “higher-order thinking skills” – such as “Which of these events were the leading causes of World War One?” It means that a lot more knowledge is needed to answer each question. In conjunction, the GED and other test brands are phasing out the familiar paper-based tests, and moving to computer-based tests. Students will now need to demonstrate computer proficiency; specifically, a familiarity with the question types utilized by the new tests. All these factors combine to create a challenging environment for aspiring GED test takers. Melamed Academy’s GED Prep program utilizes software from an official GED education partner, which has been adapted for the Yeshiva community. Melamed prepares students for the GED, TASC, or HiSET exams with customized lessons that adapt to each student’s prior level of knowledge – for ultimate time efficiency. English Language Learners are given a special set of lessons, and students needing to review Elementary School math are offered free tutorials. With all these carefully-crafted solutions, everyone can now succeed. Students also drill with simulated tests, utilizing the identical question types, so that they’ll perform well on test day – according to the exact test version that they’ll be taking! Rolling registration ensures that students can start and study according to their personal schedules. Demo lessons are available – ask for a sample, and see if it works for you by contacting Melamed’s office. Stay tuned for a new course line in Adult Career Education coming soon at Melamed Academy. Currently, these courses are offered to attending High School students and they’ll soon be expanded and made available for Adult Education, as well. Did you know that it’s possible to develop a $75,000 earning power in technological fields – within 12 weeks, for only $250? 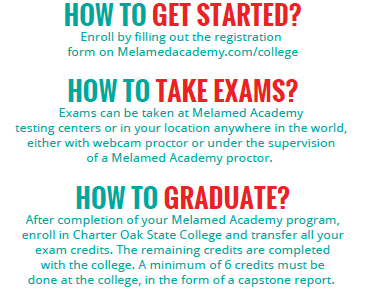 Answer: Keep checking the Melamed Academy website, and you’ll soon see how it works! Melamed Academy is a registered school for Grades Kindergarten-Twelfth Grade in the State of New Jersey, issuing its own High School diplomas. Credits are also transferrable to other schools. Melamed Academy is a nonprofit school established to fill educational needs in the Torah community. The Melamed mission is to enable all students to learn and succeed, with complete adherence to Torah standards. All courses are affordably priced, thanks to subsidies by private donors. 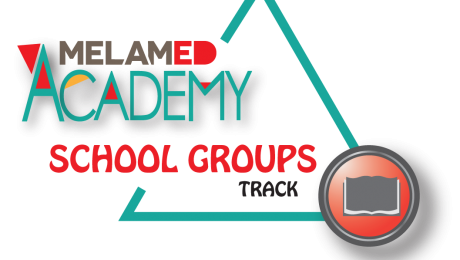 To register individual students or day-school groups, to receive a course demo, or for more information, email Melamed Academy at solutions@melamedacademy.com or call the office at (732)228-8800, ext. 3. Melamed Academy High School is a registered nonpublic school in the State of New Jersey, and grants High School Diplomas according to the state’s graduation requirements. The State of New Jersey has adopted the Common Core standards for many subjects, and additionally has state Core Curriculum Content Standards for certain subject areas. The minimum credit requirement was raised for students entering high school in 2009 to 120 total credits, from a previous minimum requirement of 110 credits. The calculation for credits is as follows: A full year course amounts to 5 credits; a single semester course counts for 2.5 credits. Regarding Health, Safety, and Physical Education, students must meet a minimum of 150 minutes per week in qualifying activities for every year of high school enrollment. 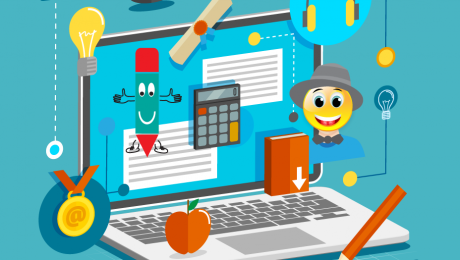 Besides the additional credit requirements, students must now fulfill more advanced specifications for Mathematics, Science, and Social Studies courses. Also, Technological Literacy and 21st Century Skills are required, in order to properly prepare the students for the current work opportunities. In Math, students must study Algebra I, Geometry, and a third math course that builds on the concepts and skills of algebra and geometry and prepares students for college and 21st century careers. In addition, there is a required 2.5 credits in Financial, Economic, Business, and Entreneurial Literacy. Melamed Academy offers students numerous options to fulfill their third Math course requirement. The standard course path is Algebra II; however, students can take Consumer Math in conjunction with the Accounting & ERP elective, or opt for the intensive Algebra with Financial Applications. An Honors level AP Prep Calculus AB is offered to qualifying 11th and 12th grade students. In Science, students must study laboratory biology/life science or the content equivalent, an additional laboratory/inquiry based science course such as chemistry, environmental science, or physics, and a third laboratory/inquiry based science course. At Melamed Academy, students fulfill the laboratory requirements through a combination of virtual labs and lab packs. In addition to the required laboratory based sciences, students can study Psychology and other science courses to meet their elective requirements. In Social Studies, World History is required, plus US History, history of New Jersey, Holocaust studies, studies of minorities as in N.J.S.A. 18A:35-1 and 2. Civics, economics, geography, and global content must be integrated into the course studies. The State of New Jersey requires students to take 5 credits in World Languages, or demonstrate their proficiency. At Melamed Academy, students may fulfill their World Language requirement with a Hebrew test or project. However, students are encouraged to select a World Language from the wide variety of Language courses. In today’s global economy, familiarity with world languages is a practical skill that will serve students well upon entering the workforce. At Melamed Academy, Health and Physical Education requirements are met with a schoolwide program in which students study weekly Health themes, researching and discussing them together in online discussions. Physical education is supervised by exercise trainers who design aerobic exercise and toning routines to match every student’s personal goals. Students can fulfill their Arts five-credit minimum requirements via Digital Arts, Photography, Drawing & Pastels, Painting, Sketching, Cartooning, and Art History & Appreciation. Digital Arts includes practice in a variety of leading software and genres that have many practical career applications. Drawing and Painting courses are delivered online, while the student creates his art on paper and submits scanned versions to his teacher. Music students and members of performing arts groups can transfer qualifying credits to Melamed Academy in fulfillment of this credit requirement. Coursework in English 9-12 is aligned with the Common Core standards and prepares students for SAT and nationally administered tests. Concentrations in American Literature and British Literature are offered as alternatives to the standard English courses in Grades 11 and 12. All literature is carefully selected to meet Torah standards, in consistence with the practices in Torah day schools. Information literacy and research skills are provided under the guidance of Melamed Academy’s online librarians. Melamed Academy students receive access to vast databases and online reading rooms that provide an optimal research environment. Guided research sessions with our online librarian enable students to acquire valuable academic skills, online search skills, and expert research and academic integrity protocol. 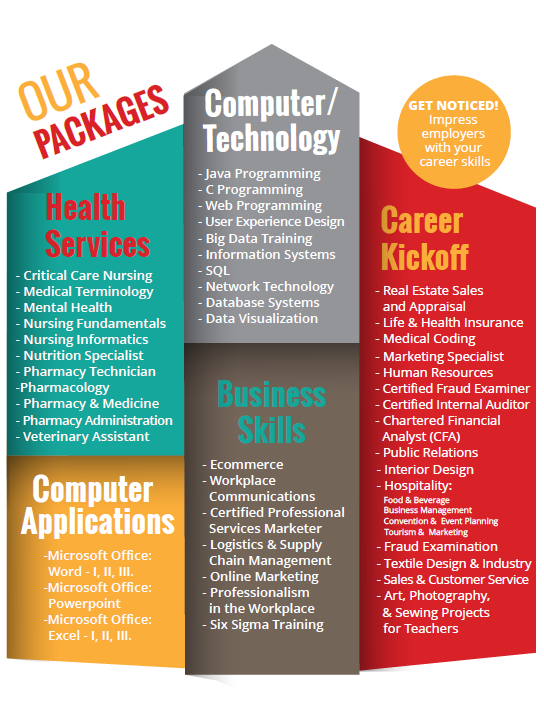 Melamed Academy offers many career electives that directly prepare students for the workforce. Today’s workplace demands a multitude of skills from its employees, extending beyond the actual concentration of study necessary for their profession. Technological literacy, bookkeeping skills, and typing proficiency are required in most work environments. 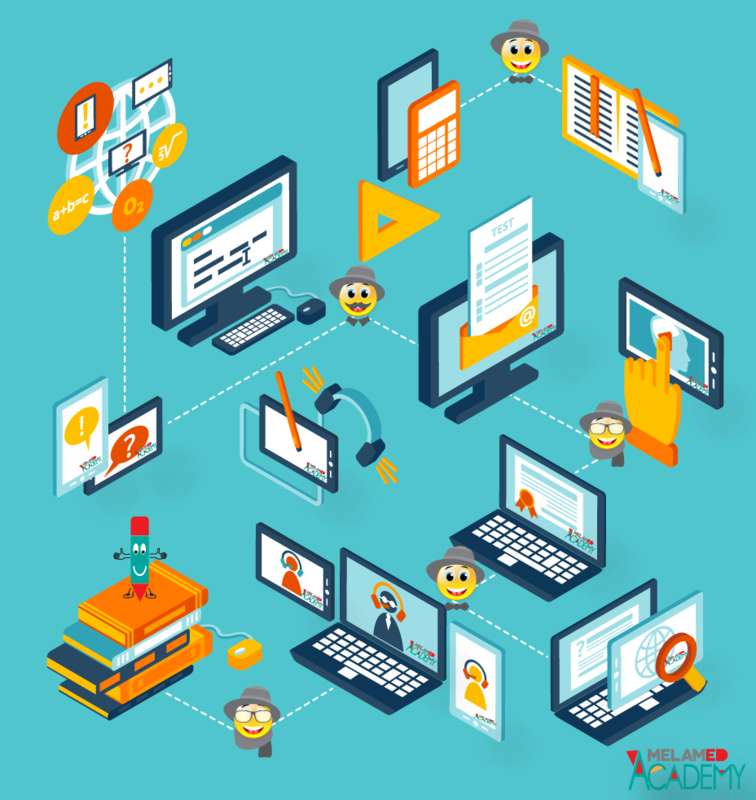 Melamed Academy’s Computer Applications courses are designed with the updated skills needed for current work environments. Business computer systems and websites are present in every company, and most software brands utilize similar concepts. Familiarity with these programs will give our students a definite advantage when seeking employment. Melamed Academy’s Accounting & ERP course, and Web Programming and Design series are valuable tickets to lucrative professions. Additionally, Melamed Academy Career courses include career selection and planning, resume writing, and job search basics with the guidance of a career coach. Students can also benefit from Personal Finance, Life Advantage Series, Communication, and Workplace Readiness series that walk through the milestones of adult life. The College Board’s AP exams are accepted as college credits in most institutions of higher education. While online courses cannot be officially certified, Melamed Academy offers many honors level courses that prepare students for the AP exams. These exams are delivered at testing centers during the month of May, and advance registration is required. Students taking the AP courses at Melamed Academy receive guidance, scheduling, and review assistance to ensure their success in the AP exams. For more information about the New Jersey State Minimum Requirements by Content Area, see here. A passing score on the GED is accepted worldwide as proof of a student’s readiness for higher education or for the workforce. 2014 saw the update of the GED High School Equivalency Exams, in both content and delivery. What do these changes mean for the Torah community? In the past, many yeshiva students concentrated exclusively on their Gemara studies during their high school years, and relied on the GED High School Equivalency Exam to provide them with their ticket to higher education, if they would ever wish to avail themselves of that option. Indeed, thousands of yeshiva students have successfully passed the GED exam after intensive self-study or after culmination of an educational program designed for GED preparation. However, the new GED test presents new challenges. The new testing format is computer-based and demands familiarity with the question types typical of online courses. A student lacking computer savvy will not succeed on his test day, regardless of his amount of knowledge. Therefore, preparation for the GED test now must include actual computer-based study. Yet, in truth, there were already many hopeful GED test-takers who did not succeed in passing their exams, or did not pass with a sufficiently high score in order to enter the institutions of their choice. They had relied on the popular assumption that the test wouldn’t be overly difficult for a student who had succeeded in advanced Torah study, which is known to demand even more intellectual prowess. And, it’s true that Talmud students have a foundation of analytical skills and a background of diligent study habits. The difference was that these students weren’t allowing themselves enough time to acquire their secular knowledge in a solid fashion, building block by block. While it may be possible to memorize historical facts, algebra and writing skills don’t lend themselves to being mastered overnight. Plus, the lapse of continuity in the student’s secular education considerably lengthened the learning process, as many subjects were already a “foreign language”. Also, many students belatedly discovered that their elementary school secular education hadn’t ever provided them with a basic foundation of reading comprehension and math computation. Add to that mixture, financial and family pressures looming in the background of a married man looking for a job – and it’s a recipe for overload. Fortunately, there is another way in which these prerequisite subjects can be painlessly mastered. In fact, the educational experience will be actually enjoyable and can comfortably fit in to the normal study breaks of a typical teenage Torah scholar’s schedule. Melamed Academy offers a customizable study track for students of all ages wishing to prepare for the GED exams. This comprehensive course contains both the designated course material, plus familiarity with the question formats of the new computer-based exams. These courses can be studied at a student’s convenience, at home or in the Melamed Academy learning center. Kosher computers provide students with an internet connection that is limited to the specific educational apps utilized in the courses. Test packs provide simulated exam practice to ensure that students are well prepared for their test day, and are set up for success. Melamed Academy’s GED-Aligned Comprehensive Study course is suitable for students seeking to fill knowledge and skill gaps in preparation for the GED® High-School equivalency exam. This course prescribes a customized learning prescription for every student, based on a series of pretests that check proficiency and knowledge. This course is designed to service students of all backgrounds – ranging from minimal High School experience through more advanced learners. Teacher support and guidance is provided in all subjects, according to students’ individual pace. MyMelamed Student Success program enables students to succeed in reaching their educational goals. Our combination of online materials and live teacher support provides a supportive and enjoyable framework for students of all ages. Our newest program is designed for adult learners, ages 16 and up, who are not enrolled in a high school with secular studies. 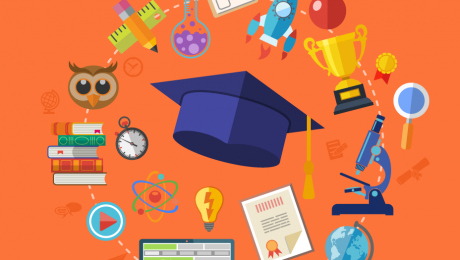 As of 2013, the State of New Jersey recognizes 30 college credits in core subjects as an acceptable demonstration of knowledge entitling the student to a state-issued high school diploma. Technology and 21st century life and careers. 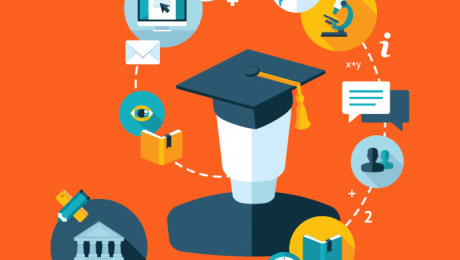 MyMelamed Student Success program now includes a track to support adult learners wishing to gain proficiency in these subjects as preparation to successfully pass college-level courses in those subjects. 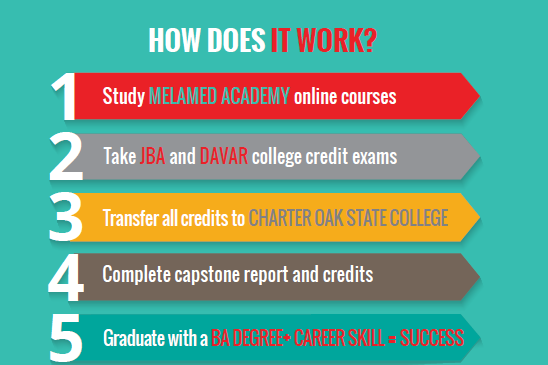 MyMelamed also provides guidance to students seeking to receive Yeshiva credits for qualifying studies towards the 30-credit fulfillment. 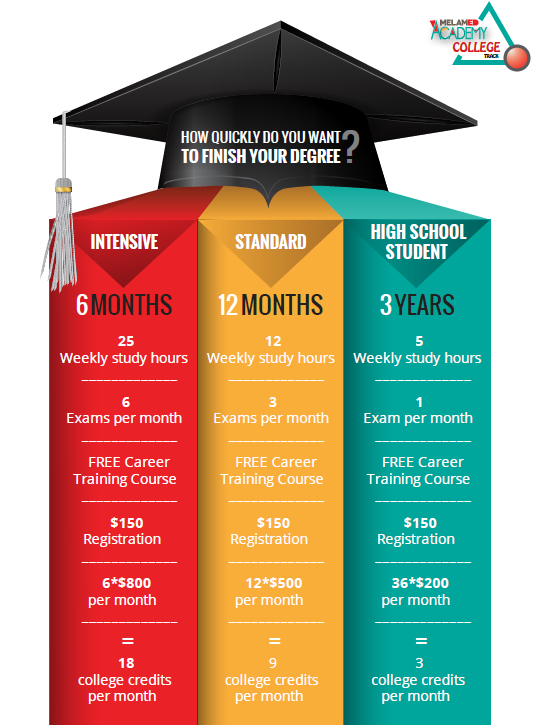 This alternative route to a High School diploma is suitable for adult students who wish to simultaneously earn college credit, thereby shortening the process towards a college degree. See http://www.state.nj.us/education/students/adulted/30ccapp.pdf for more details.